Banking is an essential part of every person’s life, be it able or disabled. It is so vital that even age is not considered for it. Working adults, homemakers and even students access bank accounts for their day-to-day financial needs. Like everyone else, visually impaired and blind people also require banking services like issuance of Cheque book, Debit and Credit card, Locker and Loan facilities etc. In spite of the guidelines issued by RBI and IBA (Indian Banking Association), banking services are very often denied to persons with vision impairment. And this discrimination is not limited to government or private banks or against people who are economically weak or uneducated. Blind people irrespective of education background or socio economic status have reported instances of denial of banking rights to Eyeway in the past. More recently two visually impaired students approached our Maharashtra Helpdesk with similar complaints. 23 year old Amit Baisle who is a resident of Sangli is pursuing his Class 12 in Kohlapur. He is visually impaired since the age of 2. He approached a government bank in Kohlapur where he lives in a hostel accommodation, but the bank refused to open a savings account for him. The bank officials cited different reasons for denial, insisting on a PAN card submission, or a local address proof and even a copy of his father’s PAN card. He realized these documents were a simple excuse and the bank didn’t want to extend their service because he was blind. Amit had heard about Eyeway on radio and he sought help by calling our toll free helpline. 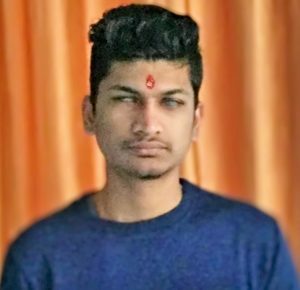 Eyeway counselor was quick enough to understand Amit’s issue and provided him with necessary IBA and RBI issued guidelines citing that banks cannot deny service to anyone on grounds of disability. Once Amit submitted the guidelines to the bank, his account was opened and the officials confessed to their complete unawareness about the existence of such rules. 19-year-old Gaurav Ahir also approached a private bank in his hometown, Pune to open a savings account. 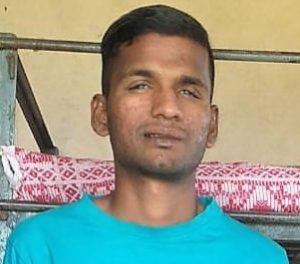 While the bank official agreed to open his account, Gaurav was told he couldn’t be issued an ATM card or given access to net banking services, as he was blind. This meant that every time Gaurav needed to transact he would have to go to the bank, sign on a withdrawal slip to get cash. Even when Gaurav tried to explain to the bank officials that despite his vision impairment he could access all banking facilities through the internet, the bank refused to entertain him. So he called Eyeway seeking help. Like in the case of Amit, the counselor asked Gaurav to submit a copy of the IBA circular and RBI guidelines to the Bank Manager. Thankfully after submitting the necessary documents, the bank agreed to extend all services to Gaurav. Access to financial services is essential for visually impaired people to function independently in the mainstream society. Existing guidelines, provisions and laws, all reinforce the need for an inclusive and accessible environment for persons with disabilities. But implementation of such rules suffers at the hands of sometimes ignorance, a lack of awareness and at times, sheer insensitivity towards another’s needs.